Always Be Prepared for Interviews! The staff at Avjobs along with other industry wide personnel offices agree, the interview can make or break an applicant regardless of experience or training. It has been the experience of Avjobs and its employees that there is a ''best'' preparatory procedure for interviews. The Avjobs Applicant System describes this preparatory process and provides tools and tips for you to be at your best. There is No Magic to Interviewing - Its Practice! Interviewing is a skill that can be learned and improved with practice. Don't be afraid to apply for positions that you may have a lower level of interest in just to get practice with the interviewing process. Practice on creating thoughtful answers to interview questions, well-researched questions about the organization, and both different and effective strategies to market yourself. 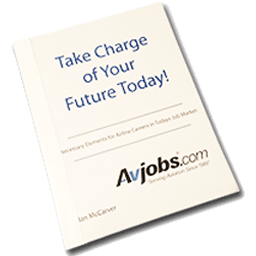 The Avjobs Online Interavtive Practice Interview provides this preparatory process along with tools and tips for you to be at your best. The Online Interavtive Practice Interview includes audio and hundreds of sample questions. So turn up your sound and practice those interview skills. While most job applicants are well aware of the need for well prepared resumes and cover letter, many do not realize the need to spend an equal amount of time mastering the interview skills necessary to be effective in today's aviation market. Learning how to interview effectively, how to market yourself well, and how to handle salary issues once an offer is made are the subjects of Interactive Practice Interview and Tools area of the Avjobs Applicant System. The purpose of the job interview is to persuade the employer that you have the skills, background, and ability to do the job and, that you can comfortably fit into their organization. Aviation employers may use selective placement practices for positions that require particular knowledge and skills. Consideration may be restricted to those candidates whose background indicates that they possess that knowledge and skill. For example, an Aviation Safety Inspector as an operational position may require ability to operate a specific type of jet aircraft or helicopter in which case consideration may be restricted to candidates who have ratings in that type of aircraft. As another example, positions that primarily require knowledge and skill in maintenance of avionics equipment may be restricted to candidates whose backgrounds demonstrate knowledge and skill in the avionics area. Alternately, separate criteria may be established for eligible applicants with avionics expertise. Everyone must understand that you are not just being evaluated on your experience and education alone, but also by your looks, personality, confidence, enthusiasm, and any other attribute that can help them decide whether or not you are right for the job. You may find out that some people get hired just because the interviewer "liked" them. Of course this is not always the case, but developing effective interviewing skills can help! The Avjobs Applicant System has an Online Interavtive Practice Interview to help polish your interviewing skills. The staff at Avjobs along with other industry wide personnel offices agree, the interview can make or break an applicant regardless of experience or training. It has been the experience of Avjobs and its employees that there is a "best" preparatory procedure for interviews.